Citrus Lane Review - Tired Of Being Pregnant? Me Too. 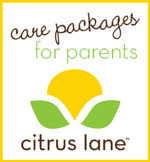 Directly between 5th Avenue and Sesame Street you will find my new favorite destination for mom and child, Citrus Lane. Citrus Lane is a monthly subscription box service that sends "care packages" filled with 4-5 of the 'best of' products tailored to your family's needs. Each month the boxes are given a theme, filled with age appropriate products for your infant to 3-year-old and then shipped directly to your front door. A busy parents dream come true! What could be better than a box filled with 'Best of' goodies and products that solve real problems? So, when Citrus Lane offered a box for review and an identical one for a lucky (incredibly deserving) reader, I jumped at the opportunity! On that beautiful August day when the Citrus Lane Box landed on my front door, Oliver and I did the happy baby dance. That lovely Citrus Lane embossed cardboard box contained the promise of mommy and baby smiles, products we could no longer live without and 4-5 of my problems solved. My friends I present to you the Citrus Lane subscription box, "Bon Voyage." 1. Sincerely Postagram-($.99(domestic)-$1.99(International) each x10!) 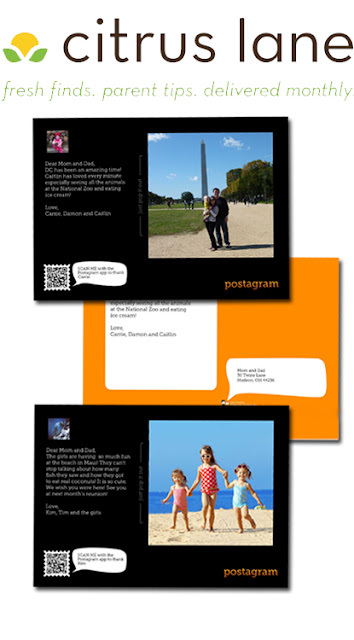 Free Postagram app with 10 free postcards! With this app you can turn your favorite photos into printed, personalized postcards. The photo pops out of the postcard once it makes it to the destination. So cool! A postcard with a framable photo! And, all of this can be done from your smart phone. Truly amazing! Problem Solved: Grandparents! With FTD's family being in Australia, postagram will send the postcard any where in the world for us. LOVE IT! 2.California Baby Travel Set-(n/a) This kit includes, the super sensitive shampoo which doubles as a body wash, scent-free everyday lotion and aromatherapy diaper rash cream. Plus a coupon for 10% off the travel set. We have used the Calming lotion since Oliver was an infant. I love their products. All are 100% toxin-free and natural. Problem Solved: I have my favorites in the diaper bag now for on-the-go care. 3. On-The-Go Dapple Baby Laundry Detergent-(n/a) I received 6 single use packets of the Dapple Laundry detergent. All Dapple products are free of parabens and common baby allergens like soy and nut derivatives. Problem solved: I have already used 2! I put 3 in the diaper bag and the other three in the bathroom. 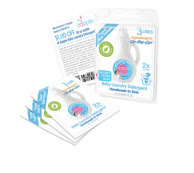 When Ollie and I have a particularly messy feeding, or crazy public blowout, these little single use packets are life savers for keeping cute outfits stain free! 4. Tiny Love Harry Hippo Stroller hanging toy-($6.99) Who does not need a super soft, crinkly eared, dangly legged stroller hanger, that also vibrates when you pull down and release? Needless to say, Oliver loved it! Problem solved: Now I have the Hippo for the Stroller, so I can leave his other awesome hanging stuffed animal on the car seat! 5. Me4kidz Diaper Bag Buddy-(5.95) This little box of goodies is packed wit 25 diaper bag essentials! (see below for list) It’s small enough to fit in your purse, yet still loaded with diaper blow out and first aid essentials! 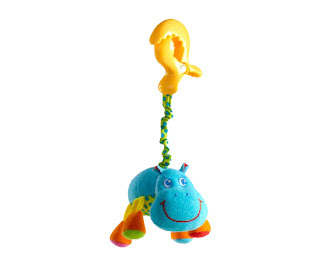 Plus, every Me4kidz purchase supports the disabled community. Love it! Problem solved: OMG! Try 25 problems solved! 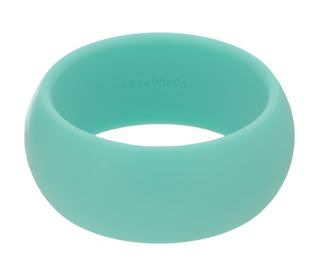 6.Chewbeads Bangle- ($14.50) And last, but certainly not least, the mom and baby gift! This is the coolest thing! It is a bangle for me to wear that doubles as a teething toy for Ollie! It’s made of 100% silicone and is BPA-, PVC- and phthalate free. Problem solved: With so much to carry when we are on the go, this cute little accessory makes going out with baby a little less complicated. When Ollie needs a distraction I slip it off and he happily chews away. This is the must have mom accessory! I really cannot say enough about how wonderful it was to receive this box full of goodies. I used every single thing immediately and learned about products I never would have had I not received this care package. I wish I could spend the next 2 1/2 years receiving gifts form Citrus Lane. I love everything about this service! Click this logo to get started!